Investigates the structure and function of transporter proteins in the cell membrane. Cells use certain membrane proteins to pump molecules in or out of cellular structures, moving them from areas of low concentration to high concentration. Chen studies ABC transporters, a class of membrane transporters that power themselves using a form of chemical energy known as ATP. She investigates these proteins’ role in normal cellular processes and in disease, including drug resistance and cystic fibrosis. Scientists have identified about 2,000 ATP-binding cassette (ABC) transporters found in all types of cells; 48 of these occur in human cells. These proteins play a role in many important cellular processes, pumping an array of molecules—from nutrients to toxins and cellular building material—through the membrane bilayer. Because this molecular cargo is moving from low to high concentration, the transporter protein consumes energy. The maltose transporter protein, a type of ABC transporter, brings a sugar known as maltose into a bacterial cell to support growth. Using x-ray crystallography, Chen and her colleagues have devised a way to visualize how this transporter converts the chemical energy of ATP hydrolysis into mechanical work through a series of conformational changes. Chen’s interests have recently shifted to ABC transporters involved in the immune system and disease. For example, her lab now focuses on an ABC transporter known as P-glycoprotein. Discovered in the 1970s, P-glycoprotein recognizes an array of structurally related compounds and pumps them out of the cell. It plays a Jekyll-and-Hyde role in human health: When the cell in question is cancerous and the compounds are therapies targeting some aspect of the cell’s internal machinery, P-glycoprotein’s action reduces the effectiveness of chemotherapy. But, by doing essentially the same thing, P-glycoprotein also helps maintain the integrity of the blood–brain barrier by keeping certain types of molecules from entering the central nervous system. However, this latter function can create problems for drugs that need to get into the central nervous system. Using x-ray crystallography, Chen’s lab resolved the structure of P-glycoprotein and continues to study how it works. Her lab has also begun investigating another drug-resistant transporter known as MRP1. Like P-glycoprotein, MRP1 removes chemotherapy agents and contributes to the blood–brain barrier. It also ejects hormones, pro-inflammatory molecules, and antioxidants from cells. Using electron cryo-microscopy, her lab has generated detailed reconstructions of MRP1, uncovering the structural basis for its ability to transport such a wide variety of cargo, as well as capturing the first chemical interactions between a drug-resistant transporter and a cargo molecule, leukotriene C4. In other recent work, her lab has resolved long sought-after molecular structures for the cystic fibrosis transmembrane conductance regulator (CFTR), mutations that can give rise to the genetic disorder cystic fibrosis. This work revealed why CFTR is the only ABC transporter to function as a channel, and offered new insight as to how it opens and closes. Chen and her colleagues have also explored how mutations interfere with CFTR to cause disease. 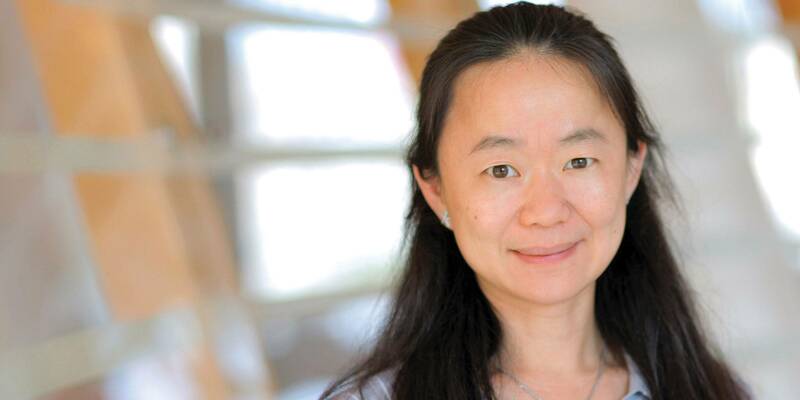 Chen’s goal is to continue to combine structural and functional work to reveal the molecular mechanisms of these multidrug transporters and CFTR, with an eye toward developing new, improved therapies for a variety of disorders, including cancer and cystic fibrosis. Chen is a faculty member in the David Rockefeller Graduate Program, the Tri-Institutional M.D.-Ph.D. Program, and the Tri-Institutional Ph.D. Program in Chemical Biology. Johnson, Z.L. and Chen, J. Structural basis of substrate recognition by the multidrug resistance protein MRP1. Cell 168, 1075–1085 (2017). Zhang, Z. and Chen, J. Atomic structure of the cystic fibrosis transmembrane conductance regulator. Cell 167, 1586–1597 (2016). Oldham, M.L. et al. A mechanism of viral immune evasion revealed by cryo-EM analysis of the TAP transporter. Nature 529, 537–540 (2016). Chen, S. et al. Carbon catabolite repression of the maltose transporter revealed by x-ray crystallography. Nature 499, 364–368 (2013). Jin, M.S. et al. Crystal structure of the multidrug transporter P-glycoprotein from Caenorhabditis elegans. Nature 490, 566–569 (2012). Gone are the days of “blobology:” the art of imaging at ultra-low temperatures has set off a quantum leap in research on biologic molecules. In order to better understand how genetic mutations give rise to cystic fibrosis, researchers need to map the protein responsible for the disorder. The new structure has led to new insights on how this molecular channel functions.